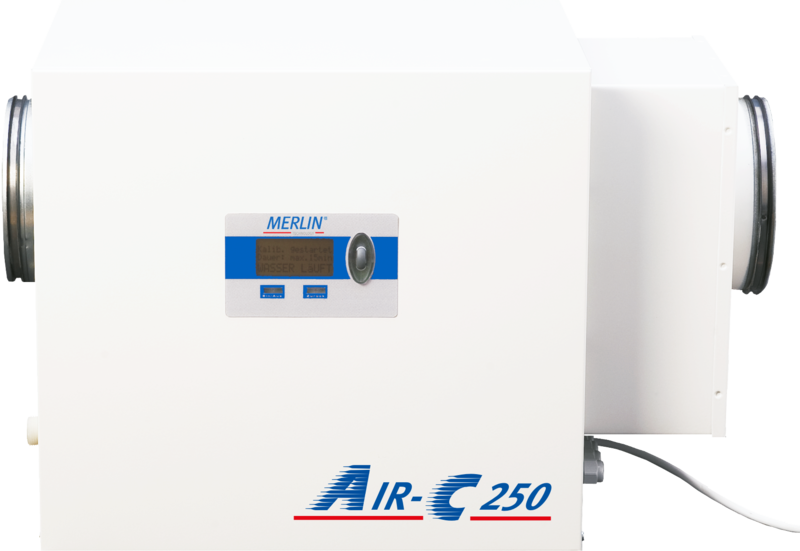 The compact air humidification unit works using natural evaporation, without producing a mist or fog. 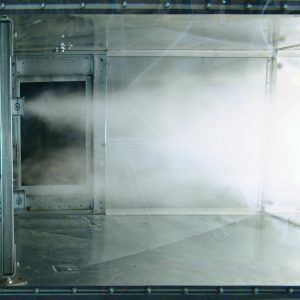 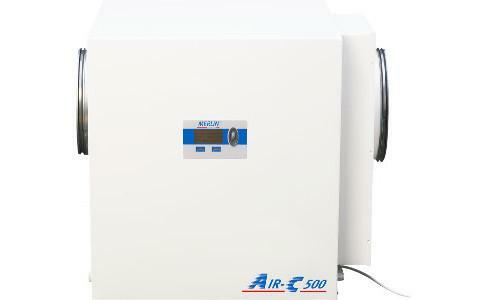 It maintains a constant, optimal air humidity level which can be set to any value between 40% and 60% relative humidity. 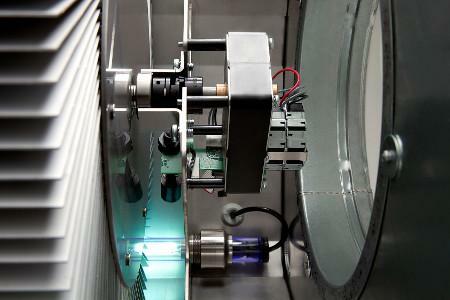 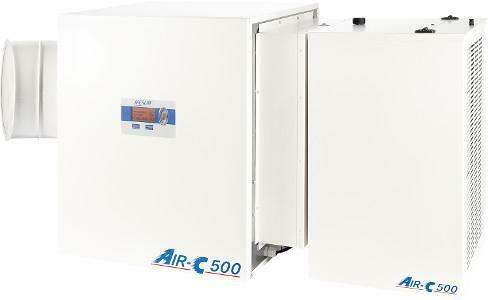 The AIR-C 250 and AIR-C 500 air humidification units with rotational blades can be connected to existing AC systems without a ventilation unit. 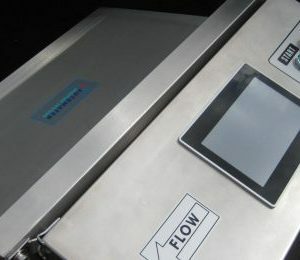 Electric or battery water heater options are available. 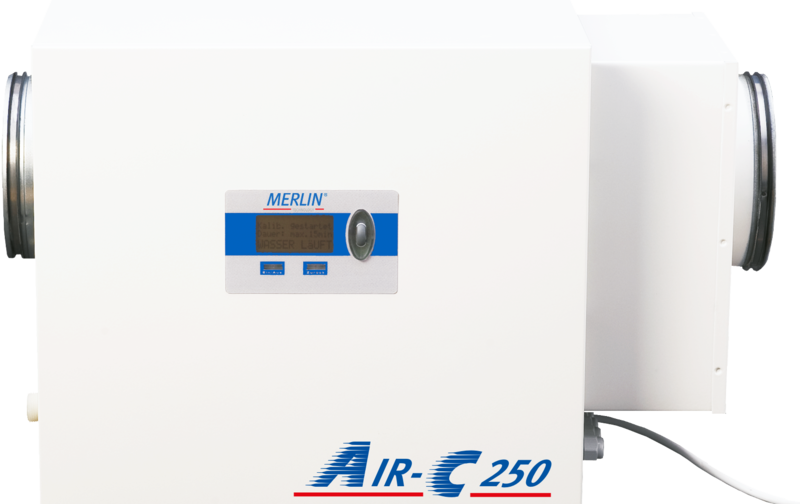 The AIR-C 250 and AIR-C 500 air humidification units with rotational blades can be set up directly in the room as a stand-alone unit with a ventilation unit.